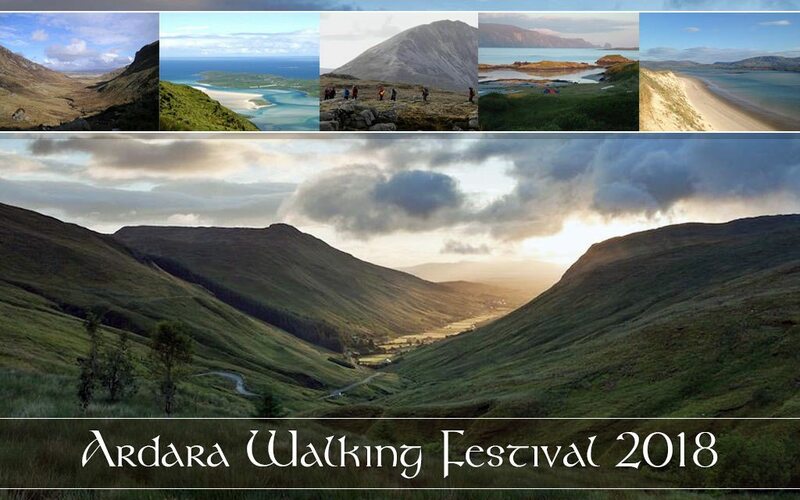 Ardara’s renowned Walking Festival with Short, Medium & Strenuous Walks. Friday 16th to Sunday 18th March 2018. One of the best coastal walks in Ireland. Meeting for all walks at Ardara Community Centre at 8.30am. Friday night 8pm to 10pm in the Heritage Centre. Saturday Walks must be booked by 10pm Friday night. €20 per walk. €30 for two walks. Children free with an adult. Walking boots, rain gear and spare warm clothes. Warm drink and food. This year the Parade celebrates 33 years so a special parade is planned with loads of fun and laughter.